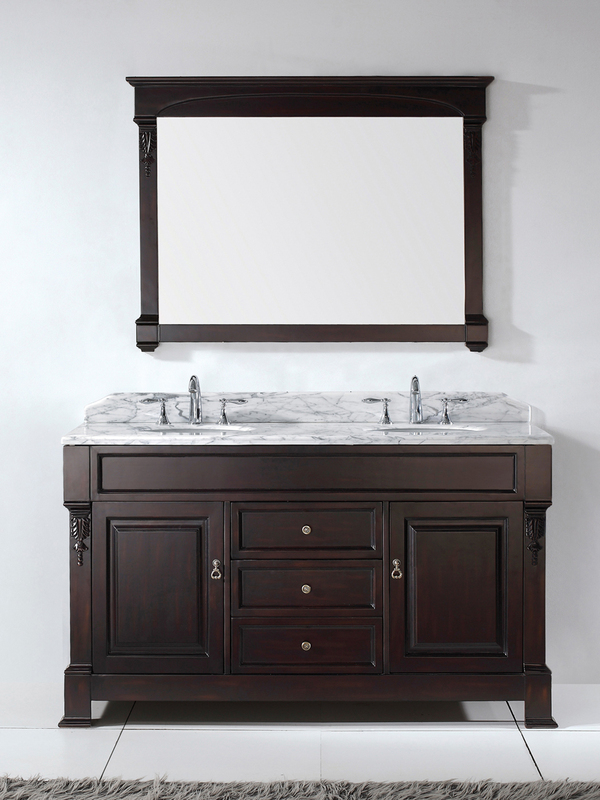 The 60" Huntshire Double Bathroom Vanity is both built for two and designed to impress. 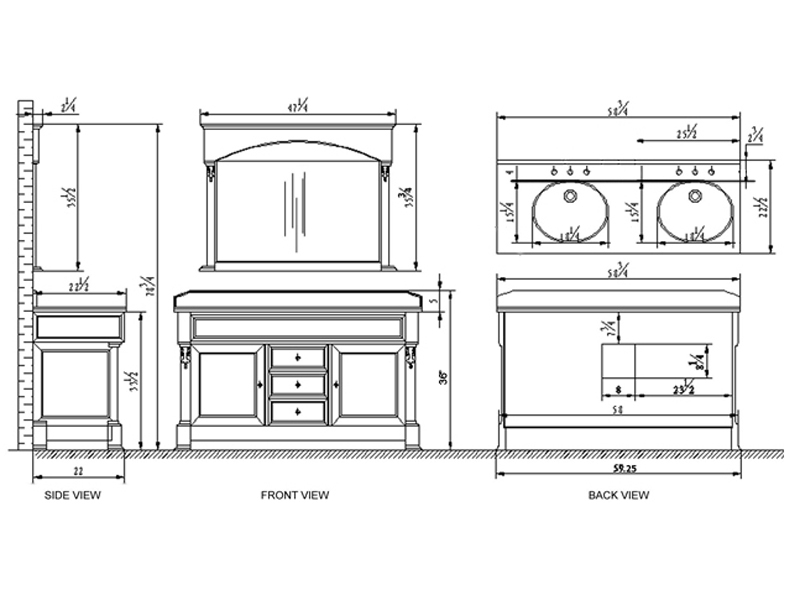 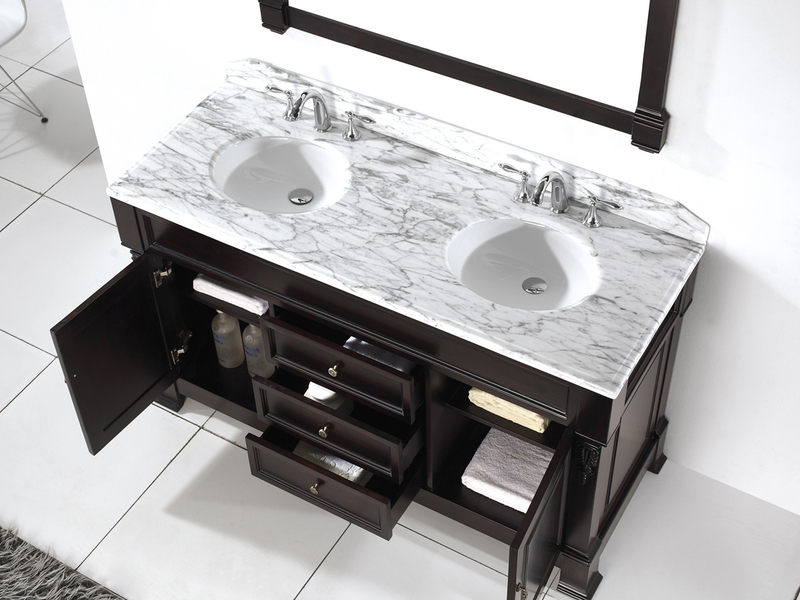 If you have a large bathroom that needs a vanity for a neat fit, consider the Huntshire . 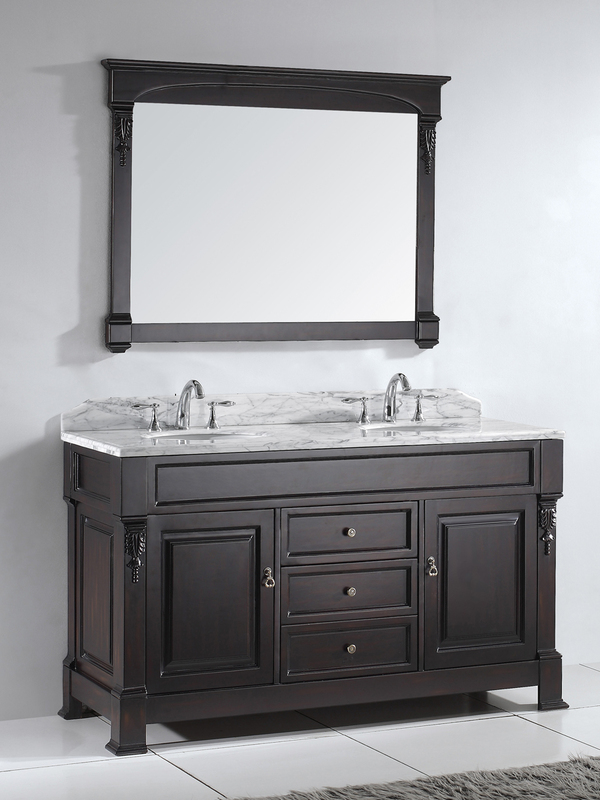 Vanities like this one can fit in both a modern or a traditional bathroom - the dark wood makes it a good fit with other dark modern features, while some of the more traditional wood carvings in the cabinet doors and drawers give it some working room to fit in to an older bathroom without clashing with the design schema already in place. 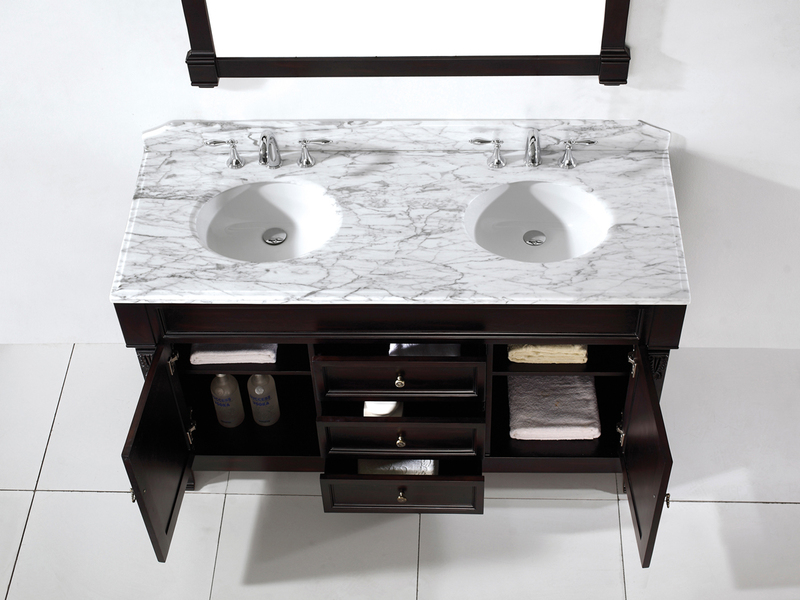 The cabinet, counter top, porcelain sink bowl, and matching mirrors are included with this vanity. 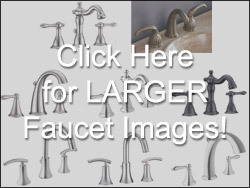 Faucets are sold seperately.